Please note, if you have Windows Vista, Windows XP or Windows 7 installed you will need to do a CLEAN INSTALL before upgrading to Windows 10. 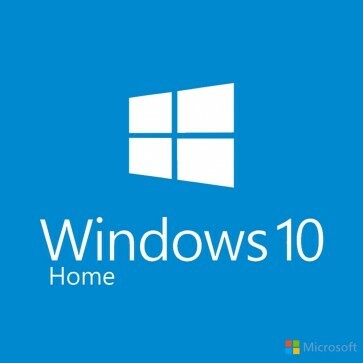 Download the Windows 10 Home Disc Image (ISO File) media creation tool first. When you are finished installing, use the activate code. Why Buy Windows 10 Home? Windows 10 Home brings the best features of Windows 7 and 8 together. The Start menu is back and combined with live tiles to keep you up to date. Windows 10 features brand new apps like Mail, Photos, Maps, Groove, Movies & TV. OneDrive lets you keep all your information in the cloud so you can access it easily on any Windows 10 device. Windows 10 Home has minimal system requirements that make it easy to install on your current computer. If your PC is running Windows 7 or 8 than you can easily install Windows 10. Automatic security updates keep you up to date and protected. Windows 10 Home vs Pro, Which edition is Right for You? Both Windows 10 Home and Pro are full of great features. Windows 10 Home includes a return of the Start Menu, Cortana, Battery Saver Mode, Device Encryption, Virtualization, Microsoft Edge, and much more. A great choice for your PC at home.